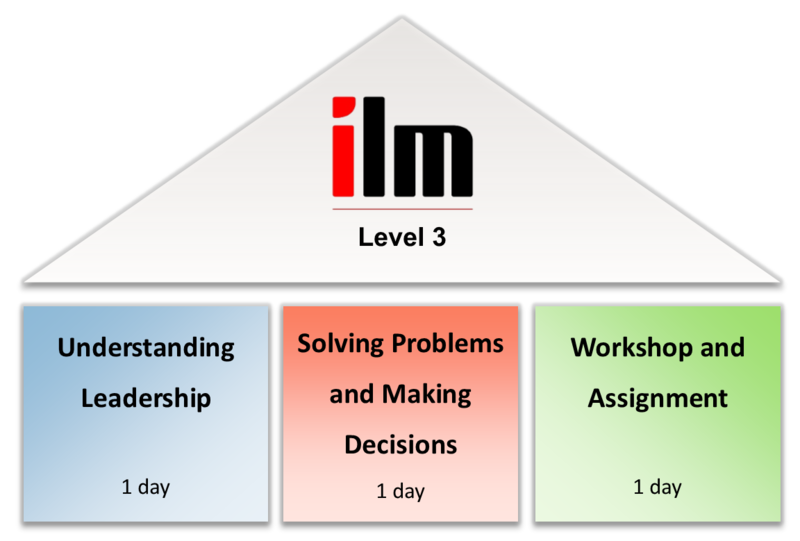 The ILM Level 3 in Leadership and Management qualification is an entry level qualification for anyone with management responsibilities but no formal qualification. It is also useful for anyone hoping to progress into a management position but who have not yet formalised their understanding with any training. It will benefit anyone with a management or supervisory position. working with people who made us feel capable and empowered and some of us will have experience of working with managers who undermined our ability, whether intentional or otherwise. In this ILM Level 3 in Leadership and Management course we will look into what makes a manager good or bad and assist those with an interest in the course in investigating how we can avoid the mistakes of the manager we worked with previously and see what made the good managers we have worked with make us smile or make our day. Anyone in a management or supervisory position will benefit from this ILM Level 3 in Leadership and Management course. It is the entry level course in management that we offer and has no prerequisites. It can be undertaken as part of a CPD programme and is available under various funding routes. Understanding Leadership – This course helps those who are in a management position, but don’t have the relevant qualifications. The course helps to understand what leadership is, and how you can lead your team to keep them enthusiastic and motivated. Understanding Recruitment and Selection of Staff – This course will help to give knowledge of who to recruit and for what, it’s especially good for those who do interviews to recruit new staff. This course will help clients to be able to choose which person is best for what job and for what reason. Managing Workplace Projects – Workplace projects aren’t easy if you don’t know how to manage them, this course can teach you how to manage projects to reach deadlines. This course is ideal for people who feel like they run out of time with projects. Understanding Health and Safety in the Workplace – Understanding health and safety is to everyone’s benefit, not only the person with the knowledge, you can stop many people from getting hurt and having to take time off work. This course is great for HR managers or anyone who is looking in to improving their environment for the better. Understanding Marketing for Managers – Many managers aren’t sure about marketing and need help to understand marketing, this course is great for those who aren’t sure how to do marketing. The course will benefit you not only if you need to get another job but it will also make it easier for your day to day work. Understanding Costs and Budgets – You will likely at some point as a manager have to work with costs and budgets. This course is a great as it goes in depth about how you can get a project within budget, or how to work out the projects cost. This will benefit any manager greatly, but is even better for those project managers. Solving Problems and Making Decisions – Everyone will come across problems, not just managers, but managers will also have to deal with their employees problems. Many managers aren’t sure how to deal with problems and this course will be able to help you with this. The course goes in depth as to how to solve a problem, how to choose a solution out of however many solutions you may have to a problem. Prepare to interview a potential learner.